Laser therapy, or photomodulation, is the use of specific wavelengths of light (red and near infared) to create therapeutic effects in the target tissue. The wavelength is set for the depth of tissue to be treated, e.g. 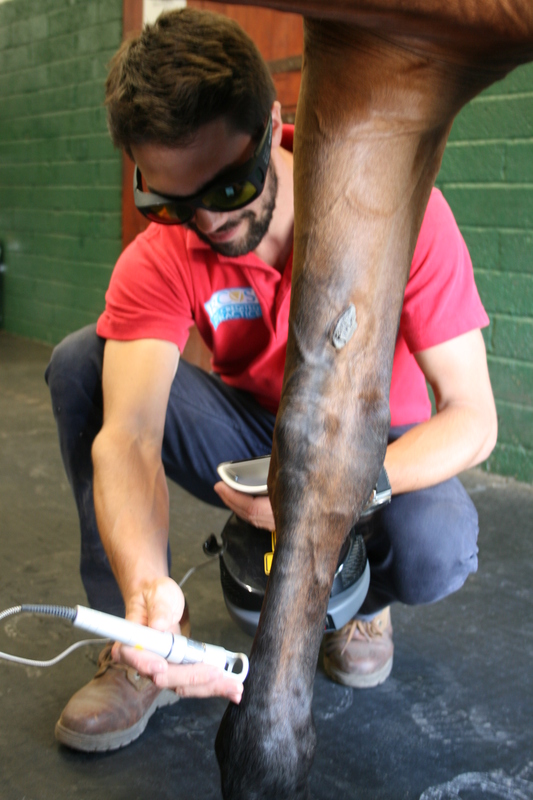 skin and suspensory ligament require different settings. The light wavelengths stimulate cells at the injured area to increase local oxygenation and cell metabolism resulting in accelerated healing at the target site. Effects seen include reduced pain, increased circulation, and decreased swelling and oedema. 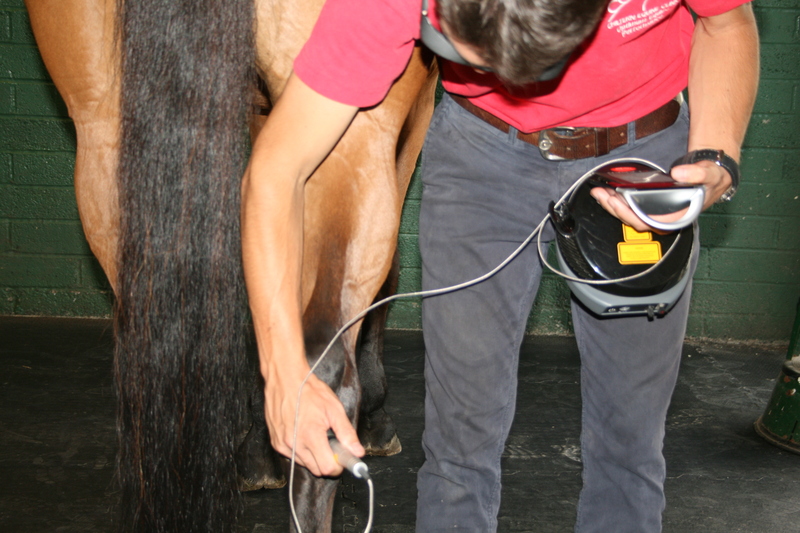 The treatment is a painless procedure and most horses tolerate it without sedation. Treatments vary in length, but most protocols last 2-8 minutes per site. The length and frequency of treatments varies with the condition being treated. A typical programme consists of twice weekly treatments for 3 weeks followed by single maintenance treatments as needed for chronic conditions. We will formulate a specific plan for your horse’s condition. 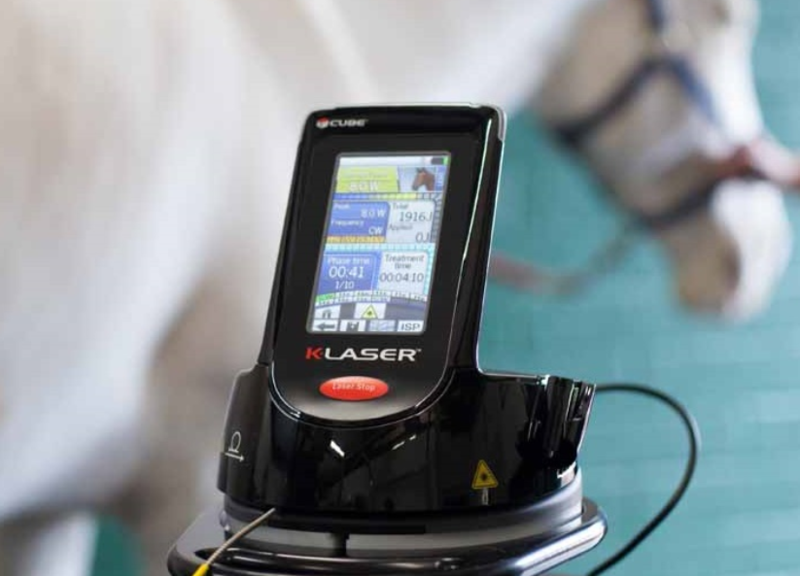 Conditions that can benefit from category IV laser therapy include wounds, acute and chronic tendon and ligament injuries, muscle strains and tears, and neurogenic pain. It can be safely used alongside other forms of therapy and post surgery to accelerate healing. The unit is portable so treatments can be performed easily on yard.